Assault charges takes many forms in North Carolina. However, if you are arrested for assaulting another person, you could face anything from a misdemeanor charge to a felony. Therefore, it is critical that you understand the different types of assault, and how engaging in a fight or injuring someone on purpose could affect you the rest of your life. Assault: Actual assault is when you attempt to attack a person by a show of physical force, or the act proves that an assault is imminent. Affray: This is an act where two or more people fight physically in a public place. A sporting event fight, for example, would be an affray, not assault. After these categories, assault is broken down further into types of assaults. These types of attacks include Simple Affray. Therefore, you could be arrested and charged with assault for inciting a bar fight. Simple Assault: An argument with someone or hitting someone without injury. Simple Affray: A fight in a public place that may result in injury. Assault with Serious Injury (Misdemeanor): A serious injury occurs, and the victim requires medical attention. Assault with a Deadly Weapon (Misdemeanor): You have assaulted someone with an object that could be used to kill another. Domestic Violence (Misdemeanor or Felony): Domestic abuse can be categorized as an attack if you were to strike someone that you have a romantic relationship with. If you attack a child or woman, the charges are escalated. Assault with a Deadly Weapon with Serious Injury or Intent to Kill (Felony): If the weapon was used and inflicted serious injury, or you intended to kill the victim, the charges escalate to a felony. Assault with Strangulation (Felony): Attempting to strangle a person whether to injure, disarm, or kill, is an assault crime. Sexual Battery (Misdemeanor): Sexual assault is unwanted sexual contact whether against the victim’s will or desire. Also, sexual contact with someone that is not mentally capable of consenting is considered sexual battery. A misdemeanor assault case is more typical than a felony, but both carry severe penalties that could affect you for the rest of your life. 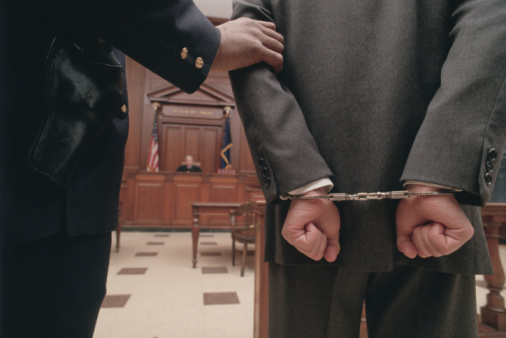 In general, you will face a Class 1 misdemeanor charge that carries up to 12 months in jail. Also, if you have a record of past criminal convictions, the judge is more likely to impose maximum sentence, especially if prior convictions were for assault as well. Regardless if you are facing misdemeanor or felony charges, you are looking at serious penalties. Therefore, it is in your best interest to contact a local defense lawyer that can provide you with a free consultation about your case. Schedule a free consultation today with The Law Firm of John C. Fitzpatrick, P.C. at 919-683-9500 or send a message online with your legal questions.